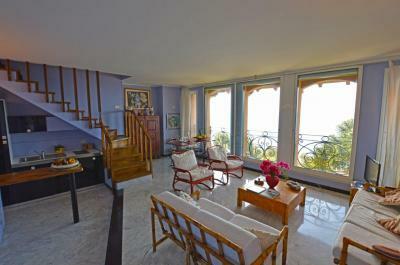 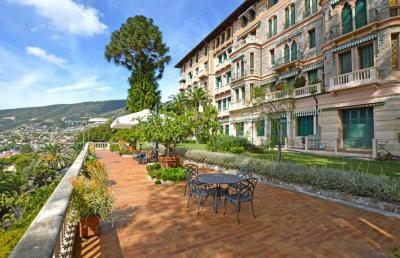 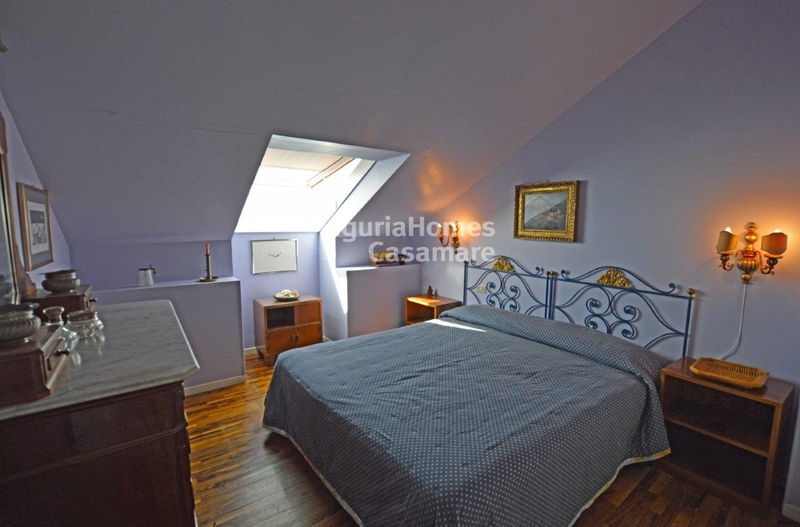 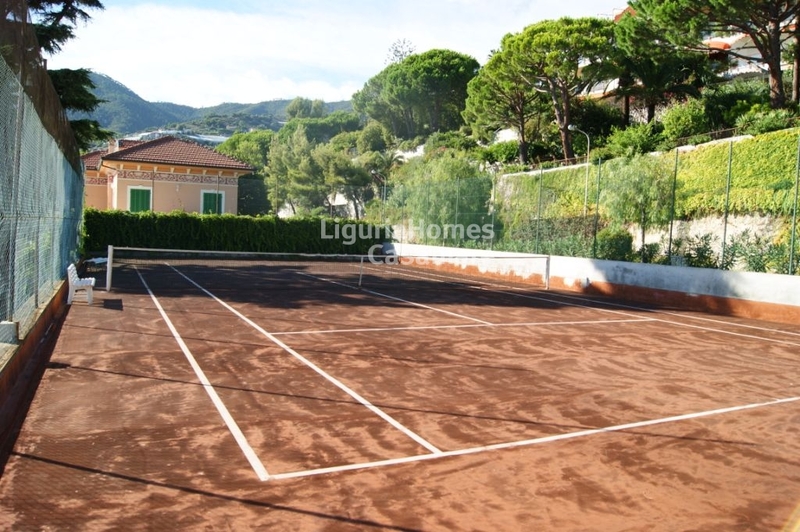 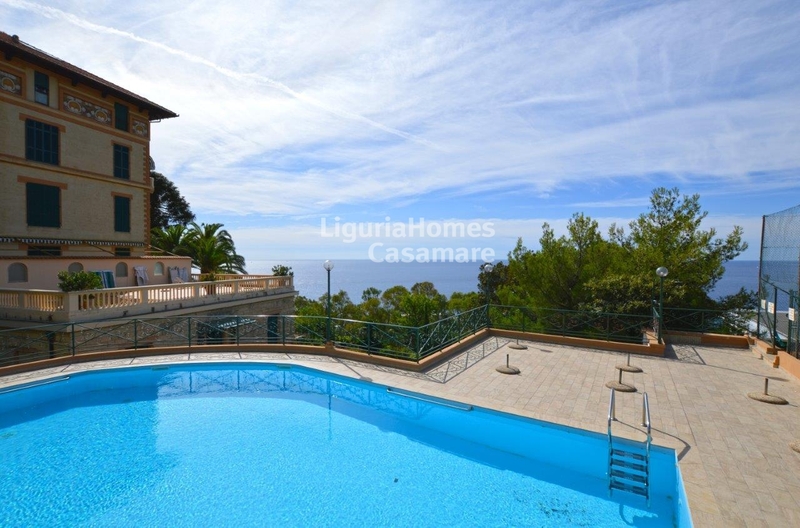 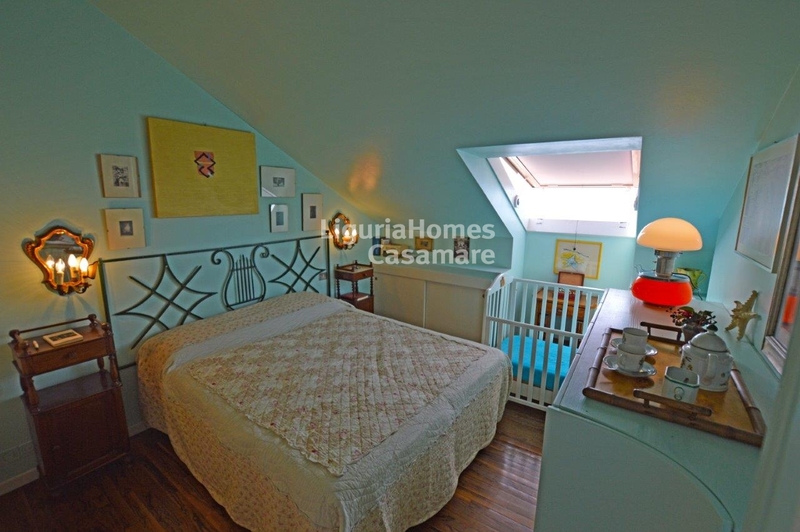 Ospedaletti, Liguria: four bedroom Apartment for Sale with sea view. An exclusive Apartment located in a luxury period Palazzo with a park of c. 0.3 hectare, concierge service, tennis court and swimming pool and walking distance to the sea and all the amenities Ospedaletti has to offer. 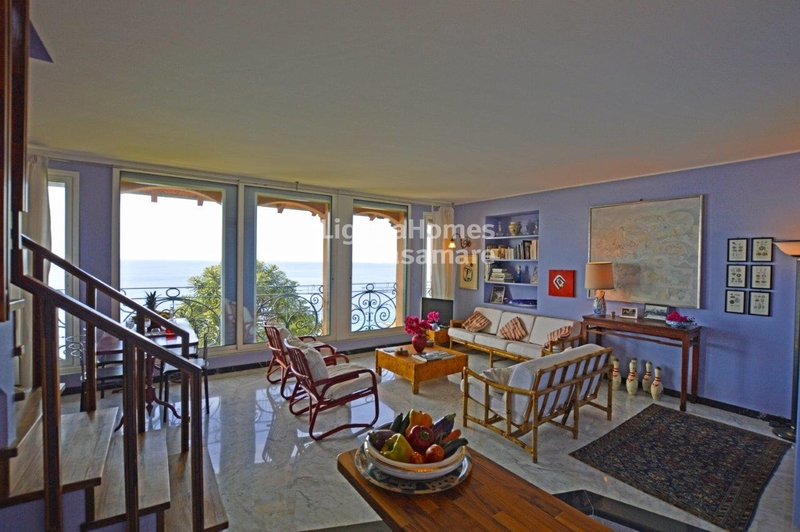 This two-level Apartment for Sale in Ospedaletti comprises an entrance, large living room with kitchenette, four bedrooms and two bathrooms. 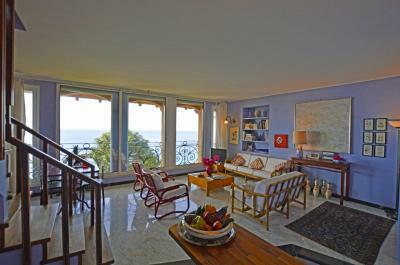 A beautiful view over the sea can be admired from the large floor to ceiling windows. 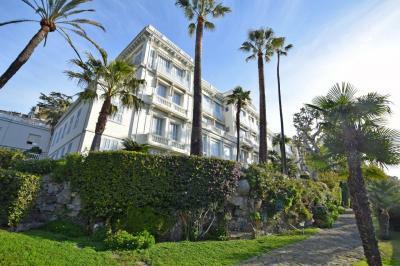 The charming village of Ospedaletti is situated on the Ligurian coast between Sanremo and Bordighera on the Italian/French border. 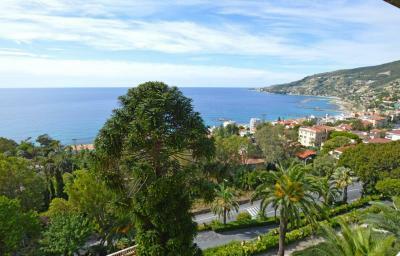 Frequent bus services connect Ospedaletti with Ventimiglia, Sanremo and Bordighera. 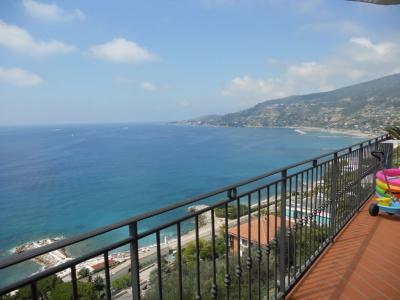 The nearby Italian Autostrada gives a quick access to Nice International Airport.